With the Year of the Rooster fast approaching, it is only natural that developers are tapping into the festive spirit to reach out to their customer base. 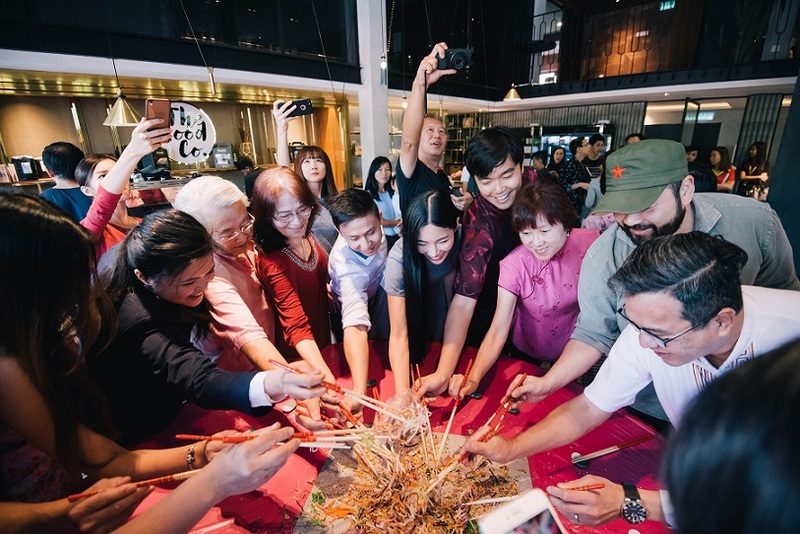 This year, however, some have gone the extra mile by delving into the true meaning of Chinese New Year and embracing the emotive power of community, unity and family. 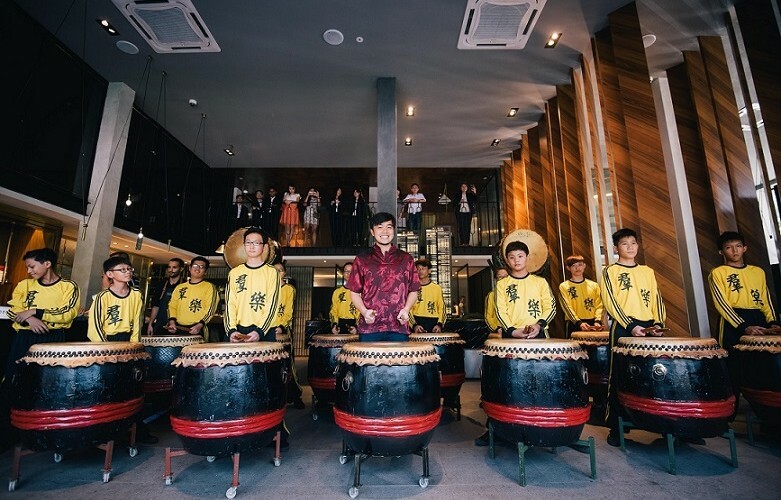 One example is relative new-comer Bon Estates Sdn Bhd, which recently held a CNY event that drew parallels between the meaningful traditions of Chinese culture and the lifestyle ideology being offered at its flagship development The Estate in Bangsar South. 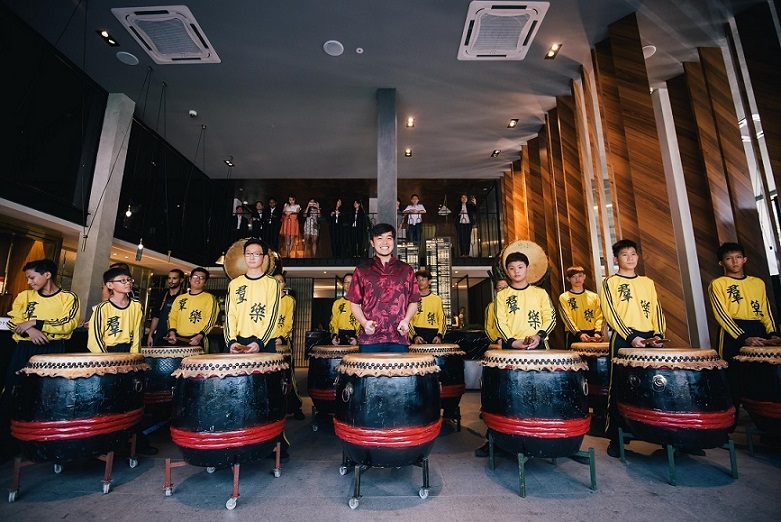 Held at its extensively decked out Bon Estates Sales Gallery along Jalan Penaga in Bangsar, the company said the aim of the event was to “rekindle the true meaning of home” at its upcoming luxury residential high-rise development. The project is envisioned to provide an exclusive living environment that nourishes, nurtures and strengthens family and community bonds. Unity, Bon Estates explained, is both a central theme for the festive season as well as a guiding principle for the The Estate project. It added that celebrating with its customers provided a golden opportunity for the company to reinforce this ideology and vision. To give luxury homeseekers a taste of the lifestyle on offer at The Estate, guests were invited to take an experiential tour of the gallery as well as partake in good food and a host of cultural activities. Among them was the traditional Lau Sang, which is symbolic of family and community bonding. This is a key goal behind the design of healthy green spaces and shared facilities within the project. Even the food for the event was provided by The Good Co – a café chain that focuses on healthy and “honest” food. 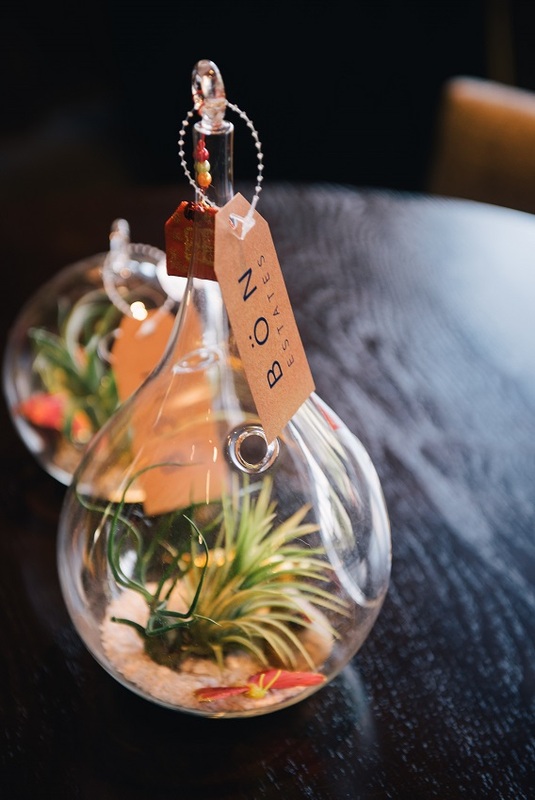 To articulate the company’s focus on nurturing growth, guests were invited to engage in a terrarium workshop. Terrariums are sealable glass containers containing soil and plants, and at the workshop attendees were offered tips on how to fashion these unique ornamental items into fetching household decorative pieces. Visitors could also take home a piece of custom calligraphy, depicting their name or favourite poem. Apart from artistic value, tradition denotes that this activity brings luck and blessings in the New Year. A highlight of the event was a traditional drum performance, which not just a hallmark of prosperity and celebration in the festive season, but also a symbol of collective unity with its ability to bring people together in unified rhythm and tempo. “Indeed, there is much to appreciate and rediscover about ancient Chinese culture. The focus on unity and family, the pursuit of balance in life, the element of artistry and intricacy that is found in every activity. There is also dedication to craftsmanship and detail behind every creation,” said Bon Estates managing director Goh Soo Sing. “At Bon Estates we don’t just admire these qualities, we share them, and we are applying them to the homes and communities we build so that we can enrich the lives of those who dwell in them,” he said. Goh said the company’s goal is build well-designed homes and spaces to help people live happier, healthier and more fulfilling lives. He believes that this achieved by creating long-lasting and sustainable homes that are design conscious without compromising on comfort and practicality. 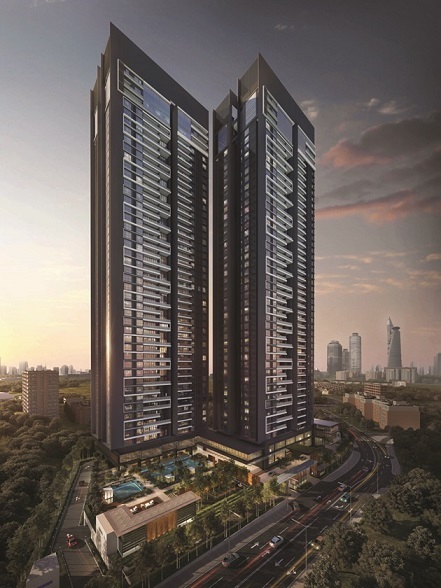 Situated on 3.68 acres, The Estate features two 45-storey towers that will house 328 upmarket units. Situated on 3.68 acres, The Estate features two 45-storey towers that will house 328 upmarket units with spacious and practical interior spaces. Units range between 2,346sq ft and 3,110sq ft – a rarity in an area dominated by smaller units. The Estate’s design cues are modern and contemporary with clean lines, but also infused with evergreen elements that give it timeless appeal. For example, the landscape area occupies 70 per cent of the land mass. A few of the highlights here include luxury cabanas, a resort themed lobby and a beautiful tea garden artistically fashioned by the renowned Seksan Design. The project’s proximity to the Bukit Gasing Forest Reserve also offers residents a picturesque green backdrop. Adding value is the fact that it is also an energy efficient green building, satisfying the desire by modern consumers to reduce their carbon footprint and live more eco-consciously. “The Chinese of antiquity understood that there was an art to living and people are now yearning for similar fulfilment in their lifestyle aspirations. We too believe that there should be a sense of artistry in life and we see ourselves as craftsmen tasked with returning ‘good living’ to our modern landscape,” Goh said. Just like good art, Goh believes good living requires good craftsmanship. That is why Bon Estates has adopted the “Living, well-crafted” motto. Goh (centre, in red) sharing the festive beat with the drum troupe.